American actor Dane DeHaan gained prominence as an actor in all quarters with his portrayal of Andrew Detmer in the science fiction film Chronicle and Harry Osborn in The Amazing Spider-Man 2. He landed significant roles in movies such as A Cure for Wellness, Valerian and the City of a Thousand Planets. He played Timbo in the dark fantasy horror TV series True Blood. Also a model, The kid star gas made it to the covers of GQ Italia, GQ Style Germany as well as has modeled for Prada. 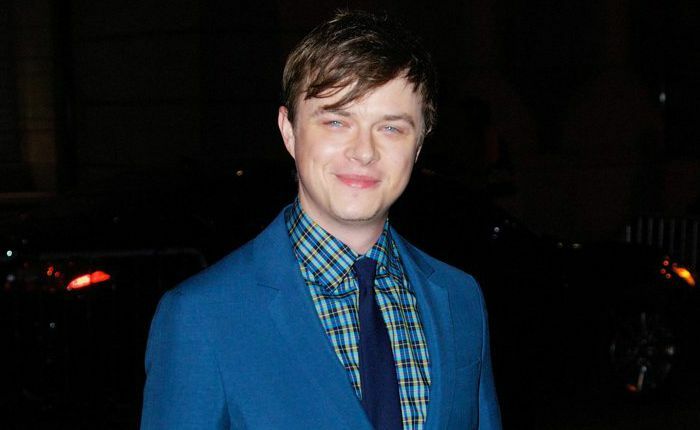 Dane DeHaan was born on February 6, 1986, in Allentown, Pennsylvania, USA. He is currently 33 years old. Dane hails from a humble family. He is the youngest child to Jeff, a computer programmer, and Cynthia Boscia, who works as an executive at Metlife. His older sister is named Meghann. William Robert DeHaan and Beth Ellen Sine are his paternal grandparents and Laura M. Boscia is his maternal grandmother. Dane was educated at Emmaus High School in Emmaus, Pennsylvania and later enrolled at the University of North Carolina School of the Arts for senior year of high school. He graduated from UNCSA in 2008. DeHaan married actress Anna Wood in a private ceremony on June 30, 2012. The two started dating in 2006 during their high school years in the North Carolina school. She is a well-known stage and onscreen actress famous for her starring role as attorney Jamie Sawyer in the 2013 NBC series, Deception. She is almost 2 months senior to him according to her brithdate of December 30, 1985. The couple welcomed their first child, a daughter, Bowie Rose DeHaan, was born on April 2, 2017. They live in Williamsburg, Brooklyn. Dane got his start in acting with the 2010 American-Filipino drama film, Amigo, in which he played the role of Gil. His first Tv appearance came in 2008 when he guest starred on an episode of the series Law & Order: Special Victims Unit as Vincent Beckwith. Dane received positive acclaim for his roles as Harry Osborn / Green Goblin in 2014 superhero movie, The Amazing Spider-Man 2 and as Lucien Carr in the 2013 biographical drama movie, Kill Your Darlings. He appeared in many TV commercials for brands including Jeep, L’Homme fragrance and many others. Without a doubt, the Allentown native is one of the top upcoming actors in Hollywood. He has accumulated a net worth of $750 thousand dollars over the course of his acting career. Looking at the potential of the actor in terms of acting and how impressive he has performed in his movies, he’s going to pull in millions in salary in the near feature. He lives with his family in Williamsburg, Brooklyn. He began acting at a very young age by performing in community and high school theater. Dane landed his first Broadway role as understudy to Haley Joel Osment in the 2008 revival of David Mamet’s American Buffalo. In 2010, he won an Obie Award for his performance in Annie Baker’s play The Aliens, directed by Sam Gold, at New York’s Rattlestick Playwrights Theater. He won the Breakthrough Performance of the Year at the 2012 Golden Schmoes Awards for his role as Andrew Detmer in the found-footage-thriller Chronicle. In 2013, Dane won the Hamptons International Film Festival in the category Breakthrough Performer for his leading role as Lucien Carr in the critically acclaimed film Kill Your Darlings. The same year, he starred in the critically acclaimed “The Place Beyond the Pines”, which was directed by Derek Cianfrance opposite Ryan Gosling, Eva Mendes, and Bradley Cooper. In 2014, he was the star of Prada’s spring/summer 2014 menswear campaign.